Can you add a Truck to this mod for next week or the week after that? BTW can you make it look like a Dodge Ram 3500? Whenever I break the blocks under the vehicles, the vehicles are floating unless I mount them. Haha the vehicles are awesome! The handling is very fun and "arcadey" which is great for this style of mod. Very excited to see where this one goes. You may want to make the last line in the description bigger, people seem to not realize you need to spawn these with the command. Absolutely love the couch, should totally be an OP vehicle eventually. I also love that you can already dye the vehicles, wasn't expecting that functionality so soon. I know I'm not Cray, but I feel like answering anyway so.. The Vehicle Mod updates every week and adds a new vehicle. No clue on the Furniture Mod. crayfish... items are not in inventory... i need to use the commands? He says how to spawn at the bottom of his post. "/summon vehicle:atv" will get you the atv, auto complete should work so type "/summon vehicle:" and then press the "Tab" key and see what else can be summoned. 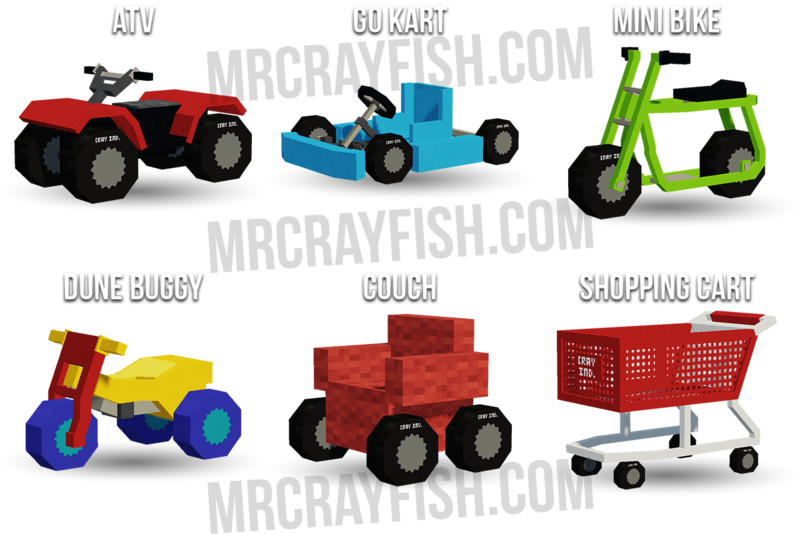 how do i spawn go kart? For some strange reason, there is no vehicle mod tab in the inventory. any ideas on how to fix? Hmmmmmmmmmmmmmmmmmmmmmmmmmmmmmmmmmmmmmmmmmmmmmmmmmmmmmmmmmmmmmmmmmmmmmmmmmmmmmmmmmmmmmmmmmmmmmmmmmmmmmmmmmmmmmmmmmmmmmmmmmmmmmmmmmmmmmmmmmmmmmmmmmmmmmmmmmmmmmmmmmmmmmmmmmmmmmmmmmmmmmmmmmmmmmmmmmmmmmmmmmmmmmmmmmmmmmmmmmmmmmmmmmmmmmmmmmmmmmmmmmmmmmmmmmmm maybe there a slight chance that this mod is in development and I haven't added the ability to craft vehicles. Sometimes when i go on the dune buggy it crashes. 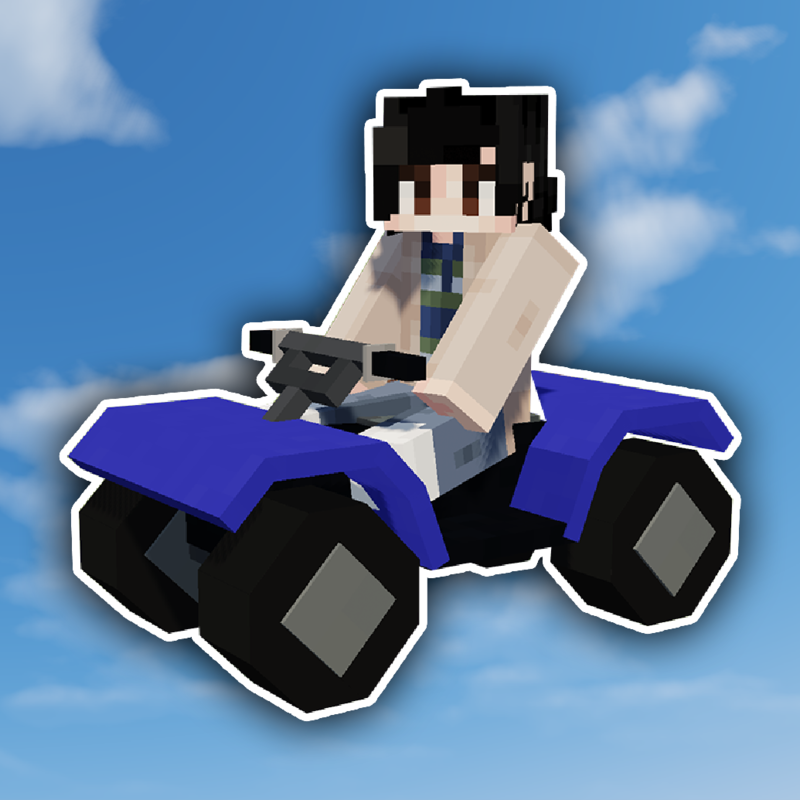 also, can you add a dirt bike? I've fixed the bug in the next update. It will be fine to load. I will add a patch that will ignore these mappings as the names have changed in recent updates.